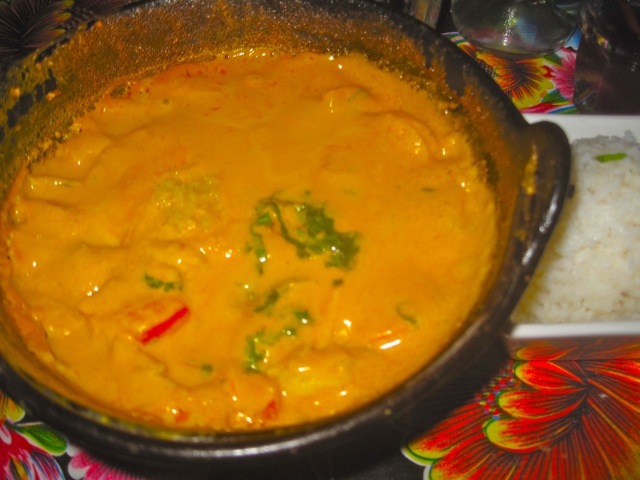 It may have been the unseasonably warm weather, the Friday night vibe, the electric East Village hood, the company, or probably a combo of these factors, but I really enjoyed our recent evening at Esperanto. This Avenue C veteran is obviously fluent in its namesake, “universal language” pushed in the ’90’s. Even though the idea didn’t take, this place allows everyone to feel like partying with the great drinks and South American specialties. 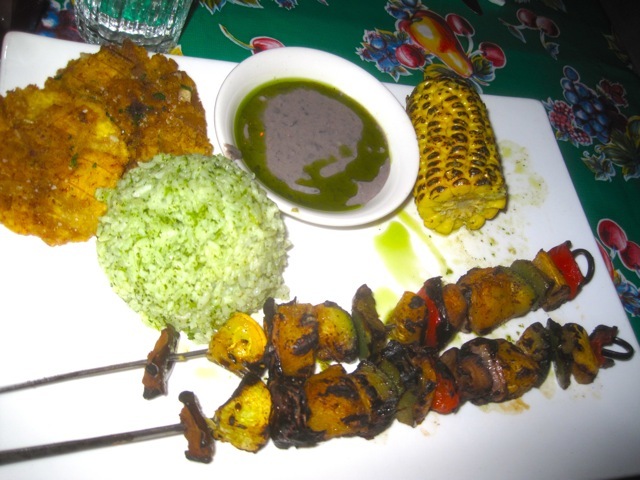 Spud and I, and our friends, Jeff and Tom, shared the yucca fries to start, which are always a favorite. 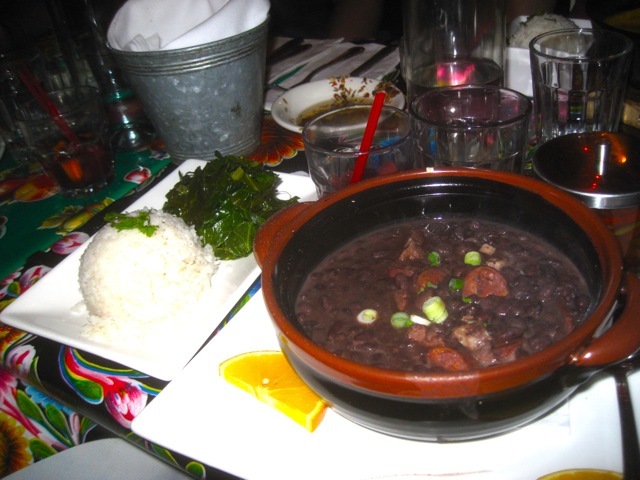 Jeff got the Feijoada, the Brazilian national stew of meats and beans. 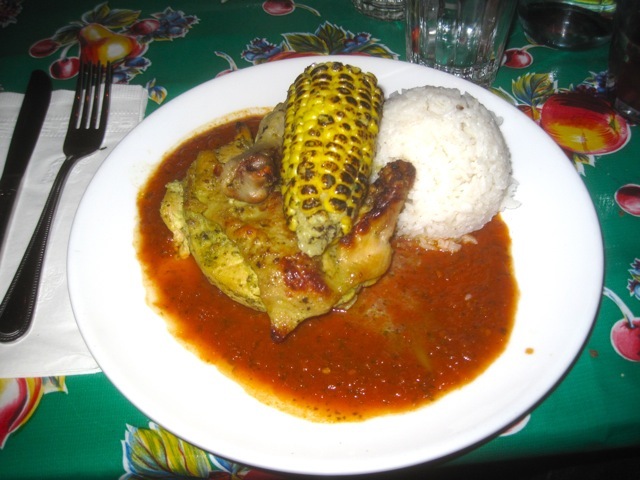 Tom had the Pollo de la Casa, which looked great, Spud a substantial grilled vegetable and tostones platter, and I got the Camarones de la feria, a rich, creamy Shrimp and coconut milk stew, which may have not been my best choice, but it was well prepared. 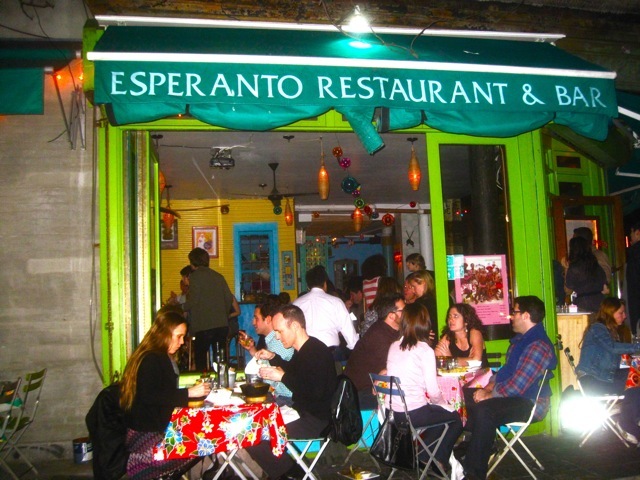 As the weather gets warmer, Esperanto’s sangria and outside seating will be speaking your language.